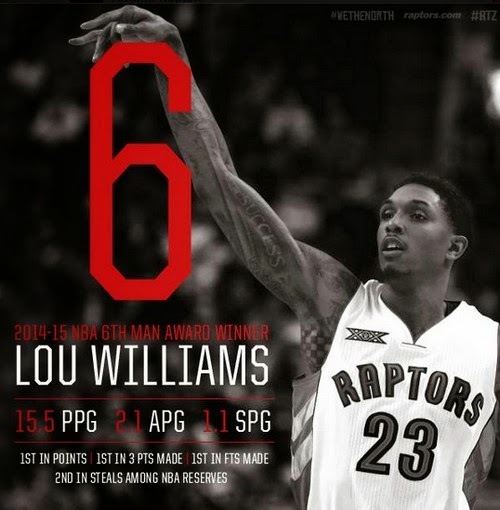 The NBA Announced today that the 6th Man of the Year is Toronto Raptors guard Lou Williams. Williams came back with a vengeance after suffering a major knee injury while he was with the Atlanta Hawks. In his current stint with the Raptors, he's proving that he can still do more on the court. Photo C/O Toronto Raptors Page!